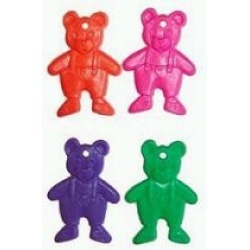 Squares and Rings Neon Colored 1"
3" Heavy duty plastic teddy bears for toy making in assorted colors. Lasting toy piece. 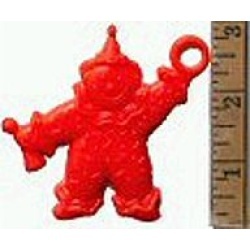 3" Heavy duty plastic clowns for toy making in assorted colors. Lasting toy piece. 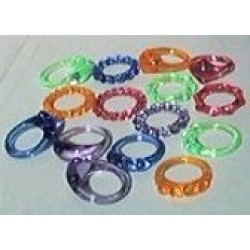 Colorful heavy duty plastic rings. A great toy making addition to your projects. 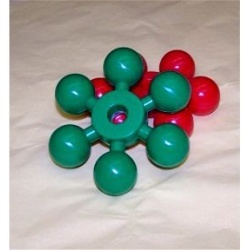 Colorful plastic space ship shapes for your toy making projects. 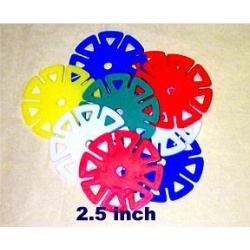 4" Assorted translucent colored spin wheels. So many options for toy making! 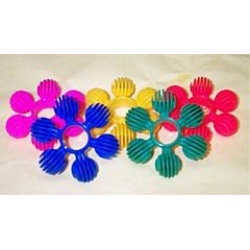 2 1/2" Assorted colored spin wheels. So many options for toy making! 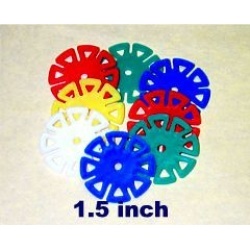 1 1/2" Assorted colored spin wheels. So many options for toy making! 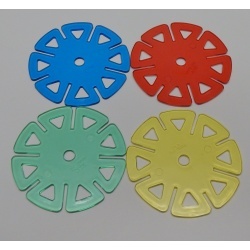 Large colorful hollow heavy plastic spinner parts for your toy making projects. 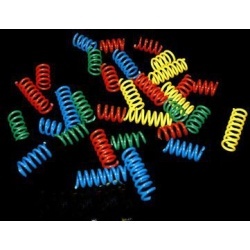 Assorted plastic spiral shapes for your toy making projects. 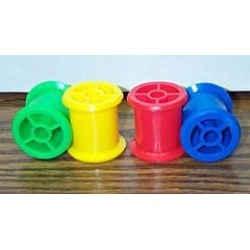 Plastic spools for toy making in assorted colors. 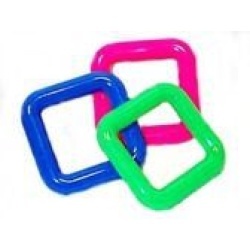 Brightly colored squares of plastic for toy making. 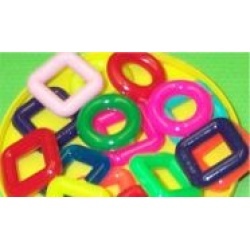 Brightly assorted colored plastic squares and rings for toy making. 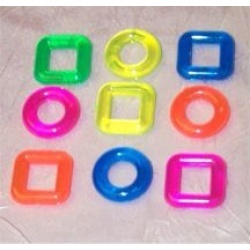 1" Neon assorted colored plastic squares and rings. 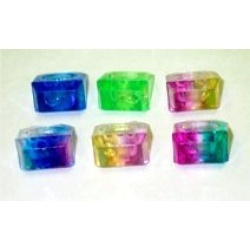 Translucent and eye catching for great toy projects!! 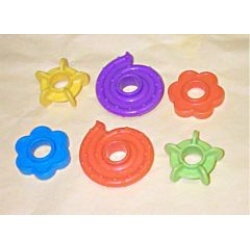 Plastic interlocking stars for destroying or toy making in assorted colors. 2 1/2" Mini stars for toy making projects. We found sunburst wheels they are a little smaller than the old ones we had. 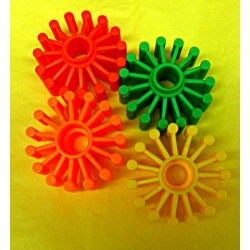 Sunburst toy parts in various colors. 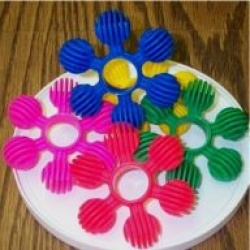 Connect them together or add to existing toy creations for a fun refresher. 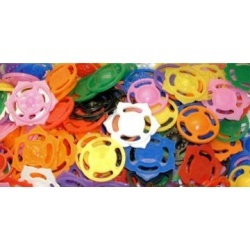 7/8" Plastic rings, assorted shapes and colors. Great for the little guys. Wonderful toy making addition for variety. 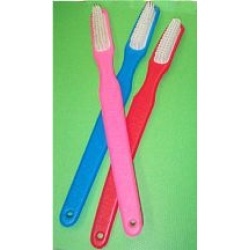 Brightly assorted plastic toothbrushes for your toy making. Makes a wonderful foot toy or addition to your creations. Assorted colored shapes. Heavy duty parts, great for toy making projects!! 1 1/2 to 2 1/4 in. approx. 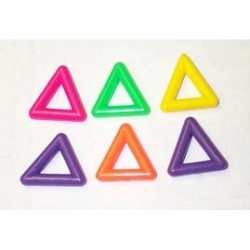 Brightly assorted colored plastic triangles for toy making.